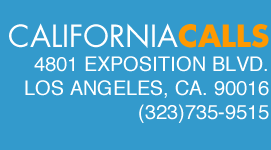 California Calls is a growing alliance of 31 grassroots, community-based organizations spanning urban, rural and suburban counties across the state. 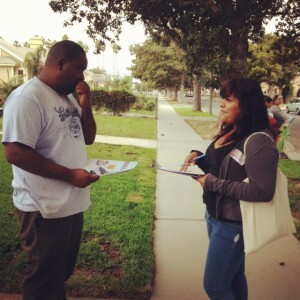 We engage, educate and motivate new and infrequent voters among young people, from communities of color, and from poor and working class neighborhoods to make California’s electorate reflect our state’s diverse population. Through our bottom-up approach, we are organizing voters most impacted by budget cuts and deteriorating public services in support of systemic, progressive solutions to our state’s fiscal crisis. Working together, and including those who are often left out of policy decisions, we believe we can reclaim the California Dream of equality, opportunity and prosperity for all Californians. FUND PUBLIC SERVICES: Guarantee secure, sufficient and stable funding for public services that will benefit all Californians, particularly those who need it the most—poor, working class, and middle class communities of color. GOOD GOVERNMENT: Improve the effectiveness of our government so that it meets the needs of our communities. FAIR TAXES: Reform the tax system for greater equity where everyone pays what they can afford to pay, and not more or less. ECONOMIC GROWTH: Invest in our future and encourage the development of good paying jobs that give back to our communities. * California Calls Education Fund is a 501(c)(3) public charity that engages, informs, and motivates potential voters – especially those in marginalized and underrepresented communities – to participate consistently in elections and public policy debates. California Calls Action Fund is a 501(c)(4) social welfare organization that advocates in support or opposition to specific legislation and ballot initiatives that affect California’s most vulnerable citizens and that have the greatest impact on the state’s economy and workforce.